Vincenzo Sapienza was born in Catania (Italy – Sicily) fifty years ago. 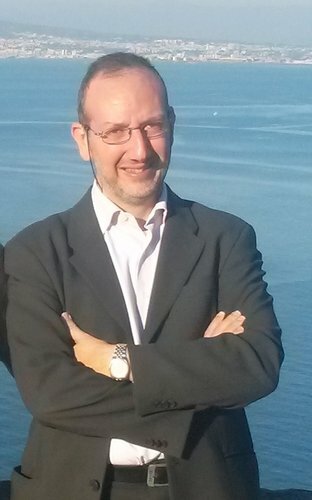 He has started to work in the University of Catania in 1997, as researcher of Building Techniques and now he is Associate Professor and Vice Head of his Department. He is also Scientific Director of the Enabling Techniques for Architecture Laboratory (ETA Lab). Every year he has covered a Chair related to his disciplinary competences. He is in the editorial board of the journal MODULO (by Be-Ma Editor, Milan), He was the curator of a special issue, 38/2016, of ilProgettoSostenibile Magazine. Since 2015 he has been Associated Editor of the journal TeMA – Studies on Architectural Engineering. His scientific activity of Vincenzo Sapienza is essentially divided in three thematic areas: innovative building technologies; building sustainability; history of construction. He has carried out a number of didactic and research period in foreign universities and in particular in NTNU of Trondheim University, in Norway (November 2016) and in UAUIM of Bucharest (march, 2017).